what the he11 is a bothy? Discussion in 'Shelter' started by mtwarden, Apr 13, 2019. 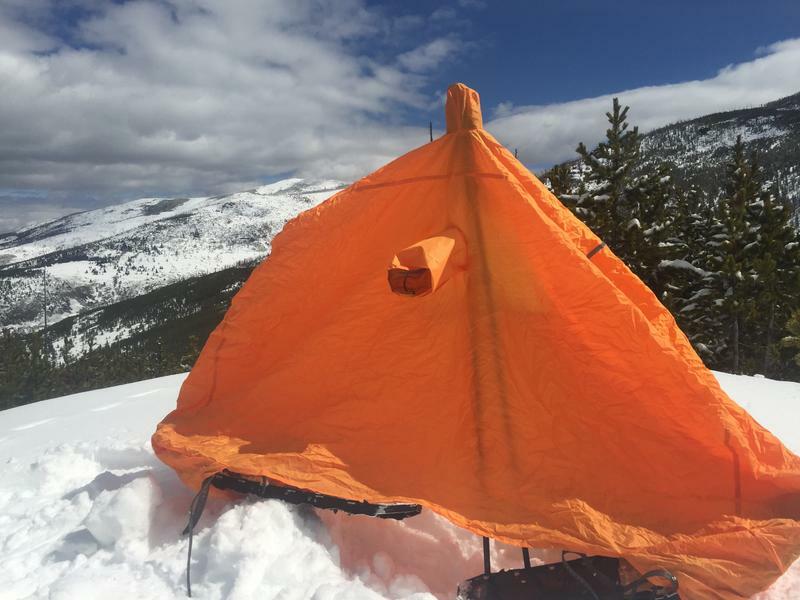 Popular in the UK/Europe, they are starting to catch on here some- a simple shelter to get into, to get out of bad weather, particularly above treeline- made in 2-person to 10 person sizes. They aren't meant to sleep in, simply an emergency shelter. I found a good deal on two -person Rab one, so I snagged it. Packs up small- about the size a down parka packs to. Pretty light too at 11 oz. Was out snowshoeing in the Elkhorns and decided to set it up for lunch. The Rab one has a spot for trekking poles to help give it some structure. Also a decent sized "window" and the stuff sack that comes in, is actually a tube to help get some air flow. I used my snowshoe to dig down a little to give myself a seat, I should have brought my little avy shovel as it would have done a better job. I have to say, it was really warm inside. So warm, I quickly ditched my jacket. With two people it would be warmer yet. It's possible that a medium sized beeswax candle would go a long way to make it warmer yet. They are designed to block wind, which it did quite well. I think if I had my shovel and spent just a little more time with the setup, it would have been better yet. Dave_Markowitz, Portage_Monster, PMSteve and 53 others like this. Real informative picture set there, thank you. Could be real useful for day hikes in areas where dangerous weather can blow in real suddenly. PMSteve, wvtracker14, rsnurkle and 13 others like this. wvtracker14, rsnurkle, Dogrobber and 10 others like this. Looks like my motorcycle cover! Indianaboy, rsnurkle, Gruxxx and 11 others like this. rsnurkle, Craíc, Gruxxx and 11 others like this. rsnurkle, Gruxxx, Winterhorse and 4 others like this. Winterhorse, M.Hatfield, NevadaBlue and 1 other person like this. rsnurkle, Gruxxx, Oni and 3 others like this. Craíc, Gruxxx, DavidJAFO and 3 others like this. rsnurkle, Gruxxx, VtBlackDog and 3 others like this. Depends if you put it on the bike with hot exhaust or not. Gruxxx, mtwarden, Snake Doc 415 and 2 others like this. PMSteve, Gruxxx, mtwarden and 1 other person like this. Is it ripstop or what kind of fabric... It is fabric, right? rsnurkle, Gruxxx, mtwarden and 1 other person like this. That looks like a really neat piece of kit and not just an emergency shelter (although it looks like it should excel at that. Reasonably priced, too! rsnurkle, Gruxxx, NevadaBlue and 2 others like this. PMSteve, rsnurkle, Gruxxx and 4 others like this. I’ve been wondering about using bothys to get out of the wind. Would it be deafening in a stiff wind or beat you half to death? As you use your’s more, please keep us posted. Palmer Furnace trial for sure. rsnurkle, Gruxxx, NevadaBlue and 3 others like this. Looks perfect for Palmer Furnace. Also, is it waterproof? If so, may have to add one to the "to buy" list . Great thread/review by the way. Gruxxx, NevadaBlue and mtwarden like this. I actually think a candle might help not just w/ additional heat, but take away some condensation as well- obviously doesn't breathe all that well. I think it would be pretty loud, but when the winds are high and it's cold- something you could live with I'd imagine that it would buffet you as well in high wind as it has no real structure than the spot for the trekking pole(s), again if the conditions are bad enough- something you could live with. rsnurkle, Gruxxx, Muskeg_Stomper and 3 others like this. A good look at the Rab 2 person bothy. Yep, I might be getting one. PMSteve, rsnurkle, Gruxxx and 7 others like this. rsnurkle, santaman2000, VtBlackDog and 7 others like this. Since it isn't very breathable, would a candle be too risky with the possibility of carbon monoxide/suffocation? rsnurkle, Gruxxx, NevadaBlue and 1 other person like this. Gruxxx, Muskeg_Stomper, Snake Doc 415 and 1 other person like this. A bothy is a basic shelter, usually left unlocked and available for anyone to use free of charge. It was also a term for basic accommodation, usually for gardeners or other workers on an estate. Bothies are to be found in remote mountainous areas of Scotland, Northern England, Northern Ireland and Wales. They are particularly common in the Scottish Highlands, but related buildings can be found around the world (for example, in the Nordic countries there are wilderness huts). A bothy was also a semi-legal drinking den in the Isle of Lewis. These, such as Bothan Eòrapaidh, were used until recent years as gathering points for local men and were often situated in an old hut or caravan. The etymology of the word bothy is uncertain. Suggestions include a relation to both "hut" as in Irish bothán and Scottish Gaelic bothan or bothag; a corruption of the Welsh term bwthyn, also meaning small cottage; and a derivation from Norse būð, cognate with English boothwith a diminutive ending. Most bothies are ruined buildings which have been restored to a basic standard, providing a windproof and watertight shelter. They vary in size from little more than a large box up to two-storey cottages. They usually have designated sleeping areas, which commonly are either an upstairs room or a raised platform, thus allowing one to keep clear of cold air and draughts at floor height. No bedding, mattresses or blankets are provided. Public access to bothies is either on foot, by bicycle or boat. Most bothies have a fireplace and are near a natural source of water. A spade may be provided to bury excrement. santaman2000, Gruxxx, mtwarden and 3 others like this. @mtwarden what these guys say ^^^^ or very similar to the Clubhouse minus the bar & Apple Juice. santaman2000, Gruxxx, mtwarden and 1 other person like this. I'll vouch for the bothy bag concept and use it regularly for winter lunch/tea/rest breaks, except I use it solo with a poncho/tent (Gatewood). A good sized tarp can be as effective, albeit without a window/air hole... not sure if a poncho/tarp has enough sealed coverage but it too will help. The dedicated Bothy shines with multi-person use.... I can't wait for a report along with Mrs @mtwarden and Little E.
It's an efficient alternative to an extra puffy layer to offset the chill of inactivity during breaks - what it lacks in loft, it gains in full body windblock, the 'mitten effect' of all limbs (or all persons) sharing the same airspace, and with some direct sunlight, a nice greenhouse kick. I use a full bothy mode (head/hands inside) in biting subzero windchill for a comfortable gloves-off food/stove/tinder prep area. And also enjoy a partial bothy mode (head/hands outside), for gloves-on eating/drinking and enjoying the view. I've done a lot of Palmer Furance experimentation and IMHO, while it will certainly do something in a dedicated bothy bag, it won't be much. The airspace is large inside, which is a good thing when breathing the same air, but a small candle's output will be overwhelmed by that large airspace and the large surface area of cold walls.... it will be the same as using a candle to heat a regular tent. What makes a Palmer Furance unique effective/warm is its minuscule airspace, and also that 2/3rds of the wall area is actually insulated by the user. rsnurkle, Gruxxx, Muskeg_Stomper and 8 others like this. Gruxxx, Oni, reppans and 1 other person like this. @reppans, when using in full bothy mode, are you holding it up with just your head/body, or are you using anything as a support (poles, etc.)? rsnurkle, Gruxxx, reppans and 1 other person like this. rsnurkle, Gruxxx and woodsranger like this. What are the dimensions of the one you have? Can you lie flat or do you have to sit? rsnurkle and mtwarden like this. 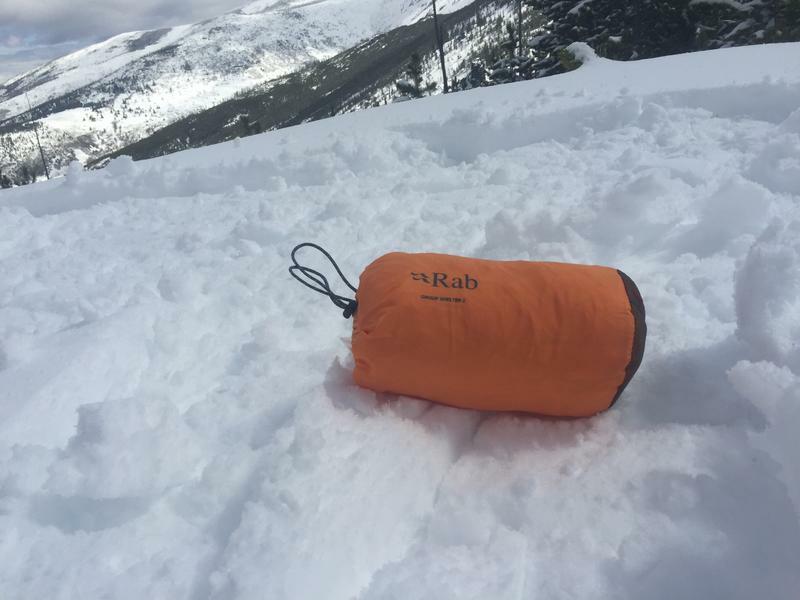 Awhile back a small innovative (and high quality) company out of Calgary Alberta was sold to RAB and Fellfab. The company was owned by Evan Jones and it was known as Integral Designs. Integral had a ton of interesting things they brought to the market and they brought simple designs for the most part coupled with good quality and materials for the time they existed. They brought out those Silbothy shelters, nice Sil nylon tarps, amazing sleeping bags, bivys, clothing, and the MK series of tents, and even things like an Sil nylon version of the old gorge shelter. They did a lot of interesting development. 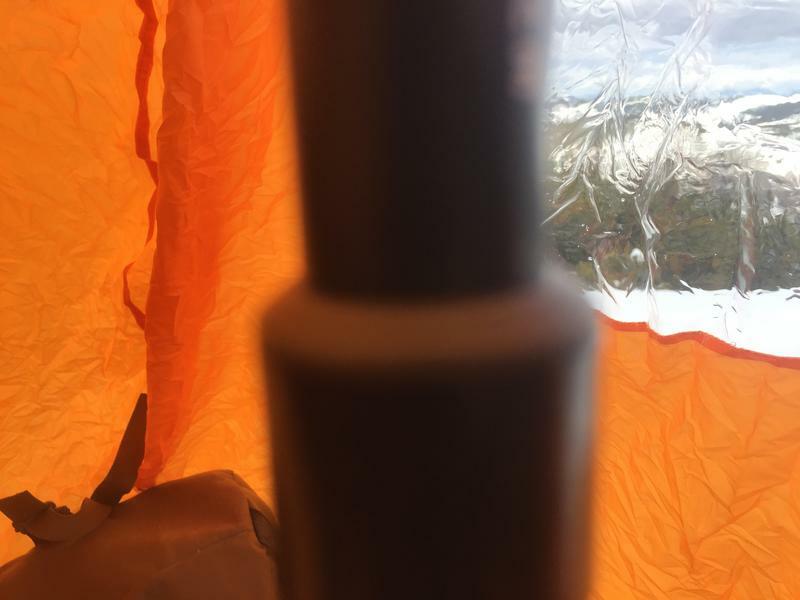 Anyway, the RAB tarps, Silbothy, and their tents and sleeping bags are really nothing more than Integral Designs products, which is a good thing. It's smart of RAB to carry on existing product line that is proven and doesn't change season to season based on trends and stick to what works. The Fellfab part is the one that supplied the Canadian military with Integral products. 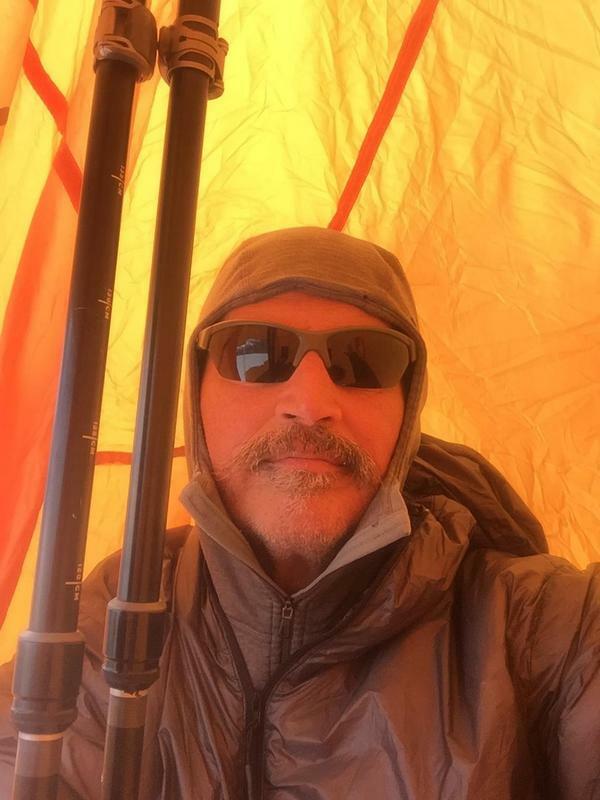 Things like shelters, tents, sleeping bags, specialized mountain clothing, and other products that needed specialed fabrics/construction or small batch type production for specific tasks. Your Silbothy happens to be one of those simple lightweight legacy products. rsnurkle, DavidJAFO, Gruxxx and 3 others like this. Yes, just head/body as a pole/support and bag on the opposite side to pin it out for more space. I actually only tend to use full bothy mode for a few minutes at a time to protect bare hands during food/stove/tinder prep. I prefer the partial mode for the view and less condensation build-up - in the real cold, I'll likely have a good hat/hood, goggles, and face mask. rsnurkle, DavidJAFO, Gruxxx and 2 others like this. reppans, rsnurkle, DavidJAFO and 4 others like this. DavidJAFO and Gruxxx like this. Pretty cool. I can see a waterproof version being useful to take temporary cover from a cold rain, too. reppans, DavidJAFO and mtwarden like this. What advantages would a bothy have over a poncho? One disadvantage I see would be you could not walk around in one. I don't know if I'd want to share one with some of the old f**ts I travel with. reppans, TAHAWK and mtwarden like this. Where did you get your two person bothy, are the coupons still available, and if I can ask, what was the price with the coupon? If the deal is still available I think I might buy one. Thanks. mtwarden and Sandcut like this.